A lawn full of beautiful green grass that is free of weeds is something that many people strive for, while others are just happy to see green, even if it is a combination of weeds and grass. To the left is a backyard photo of a lawn that I’ve maintained with my business for the past 5 years. As you can see in my photo above the grass is green and lush and well-maintained. Now that you’ve started your spring garden in containers it’s time to think about your lawn. I follow all the tips I will be sharing with you today and throughout the next few months so make sure you are subscribed here so you don’t miss any of my upcoming landscaping and gardening posts. Spring clean-up has begun and whether you are ready for it you should prepare for some hard work with beautiful results. I’ll be sure and try to help you save some of your hard-earned money this season rather than waste it on playing guessing games around your property. To maintain a healthy green lawn maintenance needs to begin as soon as the snow has melted and the ground isn’t too soft that you can walk on it without leaving ruts in your lawn. A healthy lawn with regular maintenance will end up saving you money in the long run. Proper installation of your grass and maintenance will help to avoid having to deal with the expenses of repairing neglected weed infested lawns or damage caused by pest and disease. Having a nice lawn also boosts your curb appeal if selling your house is in your near future start taking care of your lawn now! Many homebuyers get their first impression of the house from the outside, the first thing they see when they drive up to your house. What grass should I plant? If you are installing a new lawn, whether it is a new property or you have decided to remove the existing lawn choosing the proper seed for your location and climate is key. If you live in a climate that experiences cold winters and mild summers, cool season grasses including Kentucky Bluegrass, Fescues or Perennial Ryegrass will be a better suit for you. Warm season grasses such as Bermuda grass or St Augustine grass will do better in warmer climates with warm summers and mild winters. There are also varieties that do better in sun and others that do better in shade. While laying down rolls of sod gives you an instant green lawn it is a lot more expensive than spreading grass seed over your yard. A roll of sod 2’x5’ can cost $2.50 or more per roll while a bag of grass seed can be purchased for under $10.00 a bag or even cheaper if you watch flyer sales in the spring and summer. When purchasing grass seed keep in mind where you will be seeding and how much sun the area gets. I would recommend taking a look at the various types of grass suitable for your property online and doing some research before heading out to the store to make your purchase. A seed mixture is often your best option as you can reap the benefits of various varieties to give your lawn a good start. In the spring it helps to spread some grass seed on an existing lawn not only in areas that appear to thin or have little to no grass at all but also a light seeding across the entire lawn. By doing this your grass will do some maintenance of its own as a thick lawn will crowd out more weeds than a thin, bare looking lawn. Grass seed can be put down with fertilizer, preferably a starter fertilizer to encourage growth once the seeds have germinated. Avoid using a ‘weed and feed’ product for at least a month after seeding as the ‘weed’ will kill the grass seed. Thatch is a tightly woven layer of organic matter that builds up between the green vegetation and the soil surface of your lawn. It contains dead and living shoots, stems and roots that build up faster than they can be decomposed. Grass clippings of a frequently mowed lawn usually don’t contribute to thatch as they are broken down quick enough to not cause a problem. A thin layer of thatch, approximately ½ an inch can actually be beneficial helping to protect the grass from extreme fluctuations in temperature and soil moisture. Too much thatch though can hinder the growth of a strong, healthy root system. Again once the ground has dried up, using a good fan rake can do the job of removing the thatch in the grass of an average sized property. If you have a larger property there are also lawn mower attachments that may be used to help with the de-thatching process. If you are unable to get access to a de-thatcher and have more than an inch of thatch it may be worthwhile to have a landscape company come in once to do it then you can work towards minimizing the amount thatch that builds up. Compaction can be minimized by limiting the amount of foot traffic and/or machinery your lawn is exposed to while it is wet. When soil is compacted water and nutrients struggle to get to the roots as there are few or no air pockets in the soil in which they can freely move. Water runoff from a big rainfall can also be minimized if you have a well maintained non-compacted lawn as the water will be able to drain into the ground faster. A compacted lawn will only have the excess water sitting on the surface as it will be unable to absorb it and the chances of that water flooding your basement will be greater. If you are trying to repair a lawn that has become compacted, aerating will be an important step. Aerating your lawn is the process of using a machine to make several holes in your lawn by digging out soil from the ground. Aerating will improve drainage as well as making air and nutrients more accessible to the roots. If you are lucky you may have someone come door to door in the spring and summer who will aerate your lawn for cheap. Go ahead and pay for this service if it’s something you need to get done unless you plan to aerate on your own. Proper timing of fertilizer applications will ensure that your lawn is getting the proper nutrition it needs to maintain a healthy lawn. The length of your growing season will determine how many times you may be able to apply lawn fertilizer. One application in the spring and one in the fall may be enough but you may even be able to put down 3-4 applications if needed but spaced out enough not to overfeed and burn your grass. A fall application of fertilizer is essential for newly installed lawns to promote strong growth of the roots giving your grass a better chance of surviving its first winter. Over-fertilizing may not only burn the grass but it will encourage too much growth too fast and can increase the amount of thatch that will settle in your grass. Only apply fertilizer while grass is actively growing likewise with any plant. 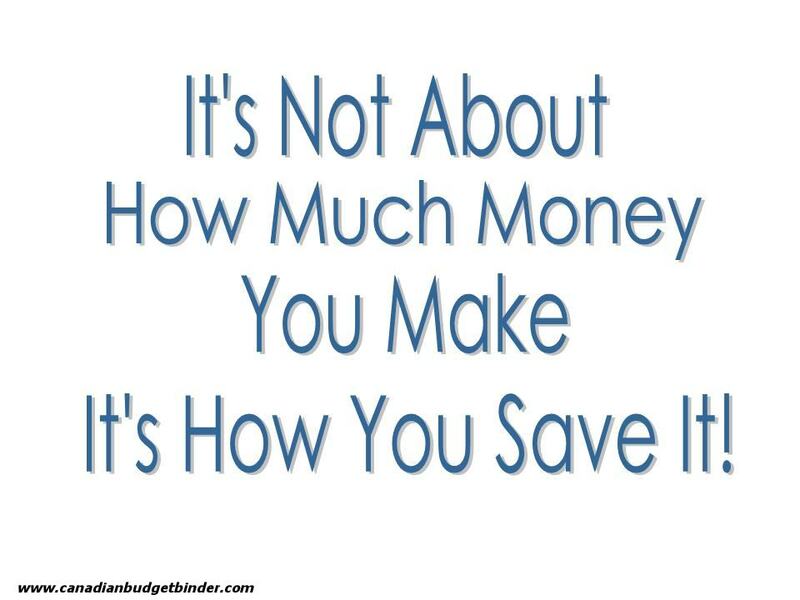 If you are applying fertilizer when the grass cannot use it you are essentially wasting fertilizer and your money. Definitely do not fertilize if your grass has gone dormant because again it is just a waste of money. Fertilizing after a good rainfall is ideal but avoid fertilizing before it rains as it will just be washed away. I have seen some good reviews regarding the use of granulated sugar as an organic fertilizer. I have yet to try this myself as the fear of attracting even more ants than the abundant amount of ants that already have set up camp on my property is a concern. If you do not have an ant problem you may consider researching this option. Spreading sugar as fertilizer would eliminate some of the chemicals that are leached into the earth and groundwater but if you have ants knocking at your door don’t say I didn’t warn you. Don’t be the neighbour that everyone wants to rent a goat for because you never cut your grass. Take pride in your property and show it off so others on your street follow suit. Keeping the properties pristine in your neighbour is certainly good for home value. Just like cutting our hair regularly frequent cutting of your grass will help to encourage your grass to grow. While the grass at the local golf club looks great it is often cut shorter than how short a typical lawn should be cut. Cutting your grass too short will increase the amount of water required and if cut too short may even kill your grass. Even though I am tempted at times to give my lawn a nice short cut I resist the urge and 3 ½ inches in the absolute shortest I will cut my grass. Always using sharp mowing blades will also help to prevent any damage that may leave your lawn susceptible to pests and disease. If you are cutting often then mulching the grass clippings rather than bagging them will add some nutrients to the soil. If the clippings are short enough you won’t see them in the lawn and they can break down quick enough to not cause you problems. Watering your grass only when it needs water is the best way to avoid over-watering. If you have had a significant rainfall you may not have to water your grass at all. If you have had little rain or have installed a new lawn the best time to water is before dawn or early in the morning. Avoid watering at night because the grass will stay wet longer with the addition of the morning dew and may cause fungus or mold to grow. If you water mid- day or in the afternoon you risk losing a lot of the water to evaporation. About 1 inch of water is the recommended amount that your lawn should receive each time it is watered. Frequent watering of less than an inch will cause shallow roots and grass that isn’t as strong enough to fight off pests and disease. If you are not sure if you are watering thoroughly enough place an empty tuna can in the area you are watering. When the can is full it is time to move the sprinkler to another area. Be sure to look into your municipal laws regarding watering as many have a schedule based on your house number as to what days you are allowed to water your grass. Odd house numbers being allowed to water on odd days of the calendar and even house numbers on even calendar days is a common schedule many have in place. The time of day when you are allowed to water may be restricted as well. If you are caught watering on an off day for your house you may be slapped with a fine so it is best to follow the schedule to avoid unnecessary fines coming out of your budget. If you have clay or compacted soil and are not restricted to how often you can water your grass you may find that your lawn may not be able to absorb an inch of water all at once. If this is the case you may want to limit watering your grass to 1/3 inch a day but do it 3 consecutive days in a row otherwise you will have a lot water runoff which is literally watching your money go down the drain. Having your lawn aerated as mentioned above will help to eliminate this problem for you. Doing your research and making the proper choices for your climate and growing season will set you up for having better luck maintaining a healthy lawn. Your luscious green grass may even have your neighbours asking what your secrets are. If you aren’t able to start your lawn maintenance right from the get-go of spring arriving I will share some ideas how to repair your lawn later in the summer and fall in some upcoming blog posts. If you are interested in my services certainly send me an email to Mr.CBB if you live in Ontario and I’d be happy to come out to your property to share with you what landscaping needs I can offer you. 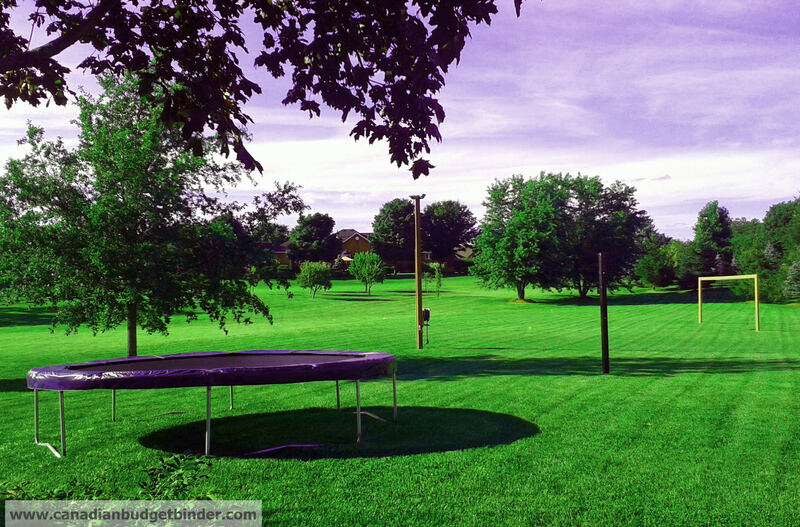 Is a green lawn important to you? Do you have any lawn care tips you would like to share? Aeration and fertilizing are the important steps for the lawn care.And there should be watering system for every of the lawn.proper watering for the lawn need to be done.These things are really need taken care into aspect for keeping the grass green.Such a Useful Tips.! Any tips on how to cure dried out patches from pets. Our dog is constantly peeing and pooling on our part of our condo lawn and since we are responsible for her, it also includes any grass that is destroyed. I tried putting dan dirt and planting grass seed and fertilizer mix but some parts grew and others didn’t. I was told by my father-in-law to put the grass seed down before it snowed, which i did, so we will see how the grass does this year. Thanks in advance for any suggestions or tips. Hi Tyler, as for repairing the areas I would rake it with a good hard rake (garden rake) and lay down some topsoil an inch or two deep and then overseed. Is it possible to water down the grass after your dog pees on it? This would prevent it from killing the grass. I don’t believe laying the seed before the snow melts will be of any benefit as it will be too cold yet for them to germinate. If I can help anymore please ask! I did rake as much dead grass as I could. I don’t know if I put an inch or two of top soil but there was enough that the seeds stuck after I watered it. They did germinate and start to grow but not everywhere. I never thought of watering down her pee but It is possible to water the grass. As for the seeding, I layer the seeds before it snowed so it is all sitting underneath the snow right now hopefully waiting to germinate and grow when we eventually get some spring weather. I may have to wait and see. Not much of a gardener but I am trying. Once the snow melts here I can take the rake to the front lawn here. I do this every couple of years. Dandelions are an issue with our lawn, enough so that last year the younger boy made himself a few bottle of wine from them!! I’ll be walking along the top edge of the raised beds to clean them out after winter long before I can do anything, much less walk on the back lawn. Being at the bottom of a steep hill means we get run-off from the street behind(above) us and it takes a few days for it to all dry out after a rain. Winter snow melt will take some serious time to dry up!!! We got some top soil a few years ago for the back and re-seeded the works. I started with a mix of perennial rye grass and white clover to start things off and over seeded with a drought tolerant mix from the hardware store. I do not water the lawns here. Given what the town charges for water the lawn is on it’s own, if it goes dormant In a dry spell so be it. The boys cut it as long as they can and will check the weather forecast before cutting it. If it looks like we are in for a dry spell they leave it alone. If it’s going to be dry, why stress the grass by cutting it. I tried a home made weed killer last year using cider vinegar…worked pretty good for a while but the whole area smelled rather funky for a few hours!!!! Lol!! Thanks for another great article Katrina!!!!! Once it melts.. it’s snowing out now lol.. although starting tomorrow it’s in the pluses all week so we should be ok. I have a bit of yard work to do but I did loads at the end of season last year. Thanks for the tip with the homemade weed killer. I also know someone who puts tide laundry soap dry stuff on the lawn and waters it and it kills all the weeds.